Food photography courses are a relatively recent phenomenon. Actually, given that prior to the 1960s photography was not taught at university level at all, octogenarians (that’s everybody older than me) would likely argue that all photography courses are a recent phenomenon. Yet there were plenty of photographers before the 1960s. Just as there were many food photographers long before Instagram came along. Now there are even more food photographers. And also many food photography courses too. How are these two facts connected? If so many people already know how to take photographs of food, surely there should be less demand to study the subject, not more? Okay, you’re right, that’s not a totally logical conclusion. But still, why the sudden interest in food photography courses? For sure, food photography has never been so popular. But as we already mentioned, it’s not a genre of photography that was just invented last week by some dude with a bunch of macarons and a bit of burlap. People worked as professional food photographers for decades without the need to get a piece of paper to prove their worth. Call us cynical, but could it be that the recent growth in the number of food photography courses has more to do with the amount of money now to be made by providing such services? Or, more cynically still, maybe it’s also down to the number of out-of-work food photographers looking to pick up a teaching gig? We’re at pains to stress that these are questions. Not statements. Is it necessary to take a food photography course in order to become a food photographer? As we’ve already seen, the answer to this question is clearly “no”. Because back in the day there was no such thing as a food photography course, and yet there were many professional food photographers all the same. Perhaps we should be asking a different question then? For Someone Considering Becoming a Food Photographer, would it be Beneficial to Take a Food Photography Course? Yes, if they don’t have prior experience of photography, then it would absolutely be of benefit. But then again, it would likely be advantageous for such a person to take any kind of photography course, right? And this is really the crux of the matter: taking a general photography course can be a great way to start a photography career. Any kind of photography career. Including one in food photography. A general course in photography (at least a good one) will give you the technical and creative skills necessary to begin shooting any style of photography you want. Does it need to be a course in food photography if you want to become a professional food photographer? No. In fact, even if you were to take a specialized food photography course, most of the real learning will only begin once you graduate and start working professionally. As in fact would be the case with any other specialized photography course (fashion, documentary, duck-faced selfies). This is because photography is something you primarily learn by doing. And nothing will teach you the really important lessons like doing photography under pressure for a paying client. So, yes, studying photography can be a good way to start, and will likely put you a couple of years ahead of those who don’t study. But the fact is that many of the best food photographers are self-taught. In fact, scratch that, many of the best photographers period are self taught. So, no, you certainly don’t need to do a photography course in order to become a food photographer. But it would undoubtedly help. Who knows if you’ll want to work in this field all your life though? Perhaps after a little while you’ll feel like switching over to another more stimulating photographic genre? Maybe your true calling in life is photographing gruesome crime scenes? 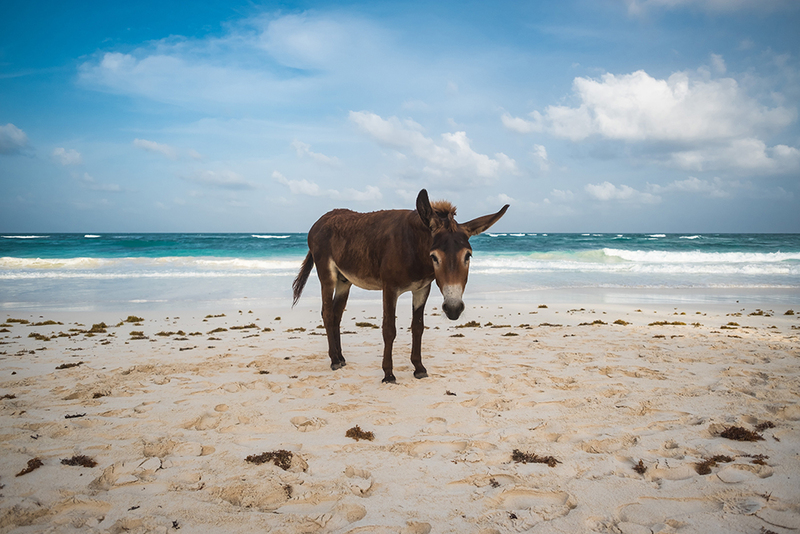 Or tourist donkey rides at the beach? At which point all those classes on the more intricate details of photographing liquids might start to look like a waste of time. Better to get yourself some good general photographic knowledge, and then in the future you can do whatever you want. Including becoming a food photographer. If you really feel you need some specific food photography pointers, do a short workshop or two with your favorite food photographer. But only once you’ve got the basic technical skills under your belt. Have any readers done a food photography course? What were your experiences? 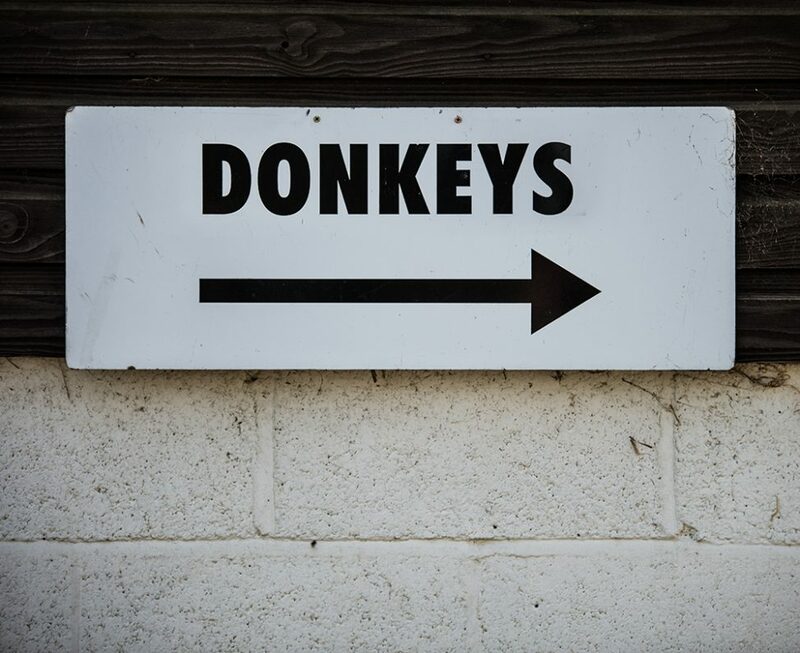 How are the donkey rides going?